Whether you are looking to refresh your cookware or begin a collection, start with this charming stone black Russell Hobbs frying pan. Made from forged aluminium with heat resistant paint, it has a non-stick ceramic marble coated interior and is dishwasher safe for effortless cleaning with no soaking necessary. 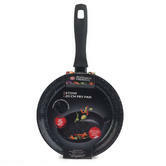 The Bakelite silicone coated handle is cool to touch when the pan is hot, providing extra safety. 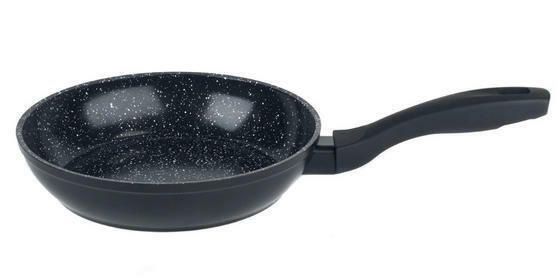 Sleek and durable, this exceptional frying pan is the perfect addition to your kitchen. Russell Hobbs are known for making high quality and stylish cookware that look great in any home and enhance your cooking experience. The interior has a scratch resistant, ceramic marble non stick coating which ensures that food is freely released from the pan. 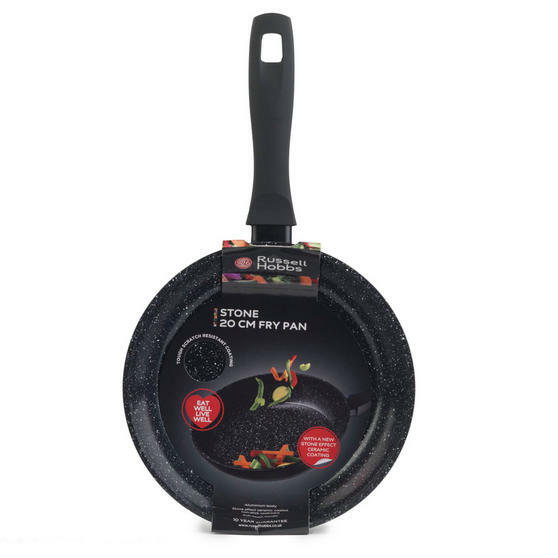 Made from forged aluminium with a cool touch silicone coated handle, the pan is safe to lift and manoeuvre during cooking. Measuring 20l x 20w x 4h cm and suitable for all hob types including induction, this frying pan is a staple for any kitchen. This superb frying pan is easy to handle, long lasting and dishwasher safe, so you can relax and enjoy hassle free cooking.